Having access to these in order to uptake and spread information makes a difference. A lot of them link together, like Instagram to Twitter, etc, where you can create a cascading post across multiple platforms with one click. 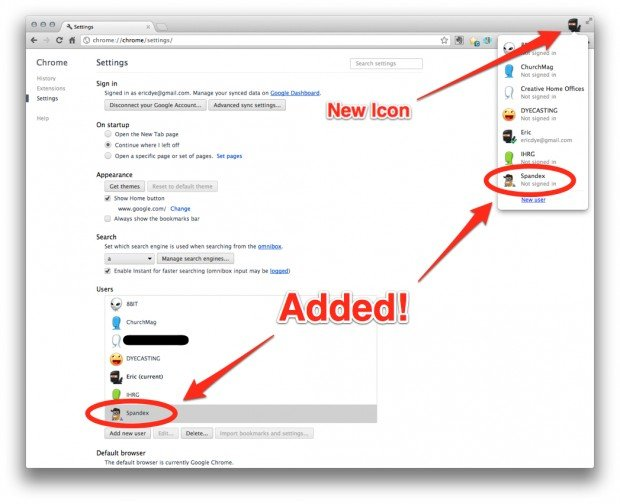 Start a new user account in Chrome. https://i.imgur.com/m1ryZs2.png Make a new Gmail account, then start making social media accounts. People sell these accounts. If you get good at this, you can make money. If you age them right and boost them enough, they become more valuable. I can improve on this list, but it is ideal to create a core group of people on each platform, using a common signal that is nothing to do with Pizzagate or Q. A very neutral and unique signal. Bonus: To take this to the next level, you can then automate posting to these platforms, creating velocity on the posts. Extra Bonus: Use Virtual Machines to do this to multiple Chrome profiles. If you see a crime, there is nothing wrong with you acting in good faith to report it. This shouldn't be used frivolously, on the other hand you are allowed to be a concerned citizen. You are not allowed to investigate crimes yourselves, but you are allowed to investigate probable cause surrounding anything suspicious. You do not have to have all the facts. The law enforcement agencies use news articles as their starting point all the time. If you know a specific jurisdiction, you can write a letter and send it to the appropriate agency. I'm leary of promoting this idea to people who would abuse it, so I have gone back and forth between showing what that is supposed to look like. This isn't something that should be done on impulse. You should be explaining the facts as you see them. This isn't something you slap together and fire off. It can be easily used as a political tool... cough David Brock cough. On the other hand, the easier this is made for people, the more will do it. Frivolous reporting is unfortunate for everyone and I don't want to be accused of any wrong doing or of leading a movement that was intended for abuse. Keep in mind, a law firm triggered a Congressional hearing with one of these, where they are asking for $40 Million dollars of a potential $400 being recovered. If you explained your evidence, you might not get the reward, but you would bolster the case. I can show you plenty of samples, but, on the other hand; if you submit this form, you had better READ AND UNDERSTAND THE WHOLE THING because you better be able to say you acted in good faith and you legitimately saw a problem and, preferably, can specify which law was broken supported by business records; which are good enough for court and can be acquired through subpoeana by any interested party in a court case. This limits your liability. Keep your evidence to business records or authenticated pictures; meaning you know where and when the picture was taken and under which context. The process I am talking about needs to be a conscious act. You have to thoughtfully will it into existence to get results. A decentralized collection of these spreadsheets allows for a potentially large database that completely circumvents censorship, where your data set can get incredibly focused and find unnoticed details rapidly. You can augment your intellect and take the guesswork out of fact checking. A keyword database can be used to auto-assign keywords from other articles, because good tagging is what will make it the most useful. With enough data and resources, it would be very easy to create a Linkurion database just like the ICIJ; only better. But it all starts with the 3 spreadsheets. The Best Part of This is that you use THEIR Resources to do this and you don't need a computer to have it always running. You can log in and do it from anywhere. This submission was linked from this v/QRV submission. Posted automatically (#29448) by the SearchVoat.co Cross-Link Bot. You can suppress these notifications by appending a forward-slash(/) to your Voat link. More information here. This submission was linked from this v/QRV comment by @17532489. Posted automatically (#29445) by the SearchVoat.co Cross-Link Bot. You can suppress these notifications by appending a forward-slash(/) to your Voat link. More information here. Nope. I've been saying all this for 2 years. Not many people actually want to do anything. This submission was linked from this v/QRV comment by @17539212. Posted automatically (#29488) by the SearchVoat.co Cross-Link Bot. You can suppress these notifications by appending a forward-slash(/) to your Voat link. More information here. This submission was linked from this v/QRV comment by @17539085. Posted automatically (#29487) by the SearchVoat.co Cross-Link Bot. You can suppress these notifications by appending a forward-slash(/) to your Voat link. More information here. This submission was linked from this v/QRV comment by @17533287. Posted automatically (#29450) by the SearchVoat.co Cross-Link Bot. You can suppress these notifications by appending a forward-slash(/) to your Voat link. More information here. "Shareblue, formerly called BlueNationRising, was purchased by Brock in 2015 and rebranded the following year. The confidential memo shows how Brock plans to use Shareblue as the "nucleus" to disseminate information to the public to damage Trump and his allies. "Shareblue is positioned to frame opposition research from American Bridge and other progressive groups, as well as leaks and intel from Democrats on House and Senate committees, in our signature punchy, emotive style—and disseminate it directly to our followers in a daily inline persuasion campaign."" Google DOCS???? Ha Ha Ha Ha ! Should we call our network HairBlue? https://tvtropes.org/pmwiki/pmwiki.php/Main/ElderlyBlueHairedLady David Brock’s Shareblue to Be ‘Nucleus’ of Multi-Platform Anti-Trump Media Entity 'Digital attacker' to delegitimize Trump's presidency by emboldening opposition https://freebeacon.com/issues/david-brocks-shareblue-nucleus-multi-platform-anti-trump-media-entity/ "Shareblue, formerly called BlueNationRising, was purchased by Brock in 2015 and rebranded the following year. The confidential memo shows how Brock plans to use Shareblue as the "nucleus" to disseminate information to the public to damage Trump and his allies. "We will delegitimize Donald Trump's presidency by emboldening the opposition and empowering the majority of Americans who oppose him," the memo states. "Shareblue will be the dynamic nucleus of a multi-platform media company that informs, engages, and arms Americans to fight." "Shareblue is positioned to frame opposition research from American Bridge and other progressive groups, as well as leaks and intel from Democrats on House and Senate committees, in our signature punchy, emotive style—and disseminate it directly to our followers in a daily inline persuasion campaign."" "David Brock HACKED on his chat network----->> [6:31 AM] google Seth Rich and shut up about it. ??!!! " https://ste emit.com/david/@anarcho-pirate/david-brock-hacked-on-his-chat-network-6-31-am-google-seth-rich-and-shut-up-about-it Google DOCS???? Ha Ha Ha Ha !